Educational Meeting At Mushrooms Naturally - Events - ACF Chefs de Cuisine Association of St. Louis, Inc.
Join us for an educational meeting at Mushrooms Naturally. We will be touring their farm and learning how a modern mushroom cultivation facility functions. We will also be learning about the life cycle of mushrooms, and how they encourage this cycle to happen on a weekly basis, talk about micro green and hydroponic plant production and the compost they make. After the tour we will be doing a mushroom tasting. They will also have some products available for purchase if anyone is interested. 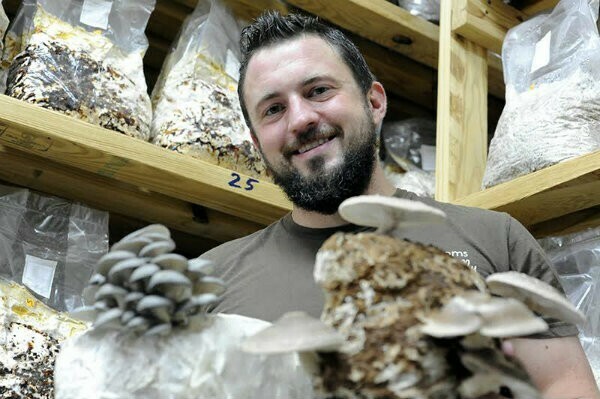 Including fresh mushrooms, mushroom flavored sea salts, Grow Your Own Mushroom Kits and the compost they make.